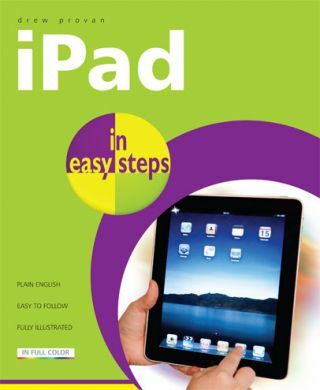 iPad in easy steps is a highly visual guide for navigating your way through the myriad features of this revolutionary device. 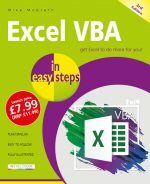 Technical jargon is kept to a minimum and the text is written in clear English, with the addition of relevant annotated illustrations. The iPad is an easy device to use. The aim of iPad in easy steps is to help you get the most out of your iPad, by showing you how to use and organize your apps and invest in the best apps available for your needs. iPad is also useful for reading books and news. iPad in easy steps covers purchasing eBooks (from iBooks)and reading them online with the in-built page turning software. iPad in easy steps really helps you optimize your settings so your iPad functions in exactly the way you want. There are many tips and tricks, and even features not widely publicized by Apple and these are all explained in the book. 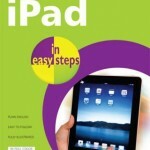 iPad in easy steps also reviews the ever-growing collection of accessories currently available for the iPad. Many people will want to use the iPad at work for presentations, reading and writing documents, and handling Exchange Server email in the corporate world. This handy guide shows you how to manage documents and keep these in sync with your PC or Mac. Finally, learn how to blow your audience away by creating and projecting outstanding slides to accompany your presentations. Use this easy reference guide to get the most out of your iPad!